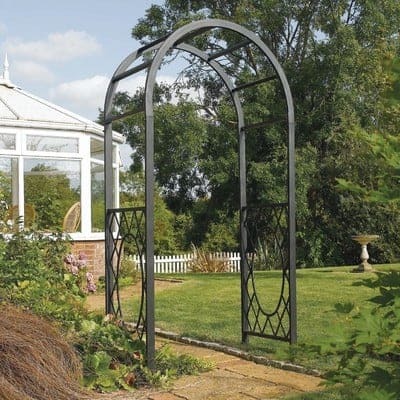 Make a statement with this stunning feature arch for any garden. 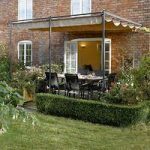 It will make a grand entrance to your outdoor space or use it to highlight a favourite area. 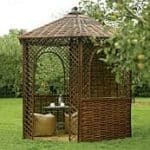 It has lattice detailing and is perfect for trailing flowers or plants. 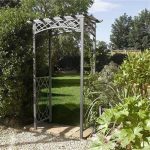 It is finished in powder coated steel, in a gunmetal grey and it is bolted to the ground. Built to last and with an anti rust guarantee this is a true beauty. This product is home delivered. 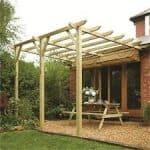 My family and I have been wanting an arbour. We weren’t looking for the one that came with a seat built into it. We wanted one with a arch. 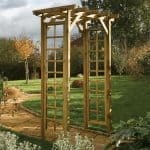 We got this arbour with the round top arch on this website and we couldn’t be more ecsatic about it. It looks amazing in our entry way outdoors. We have a sidewalk by it with rocks all along the side of the sidewalk. We then put two nice flower pots on each side of the arbour. 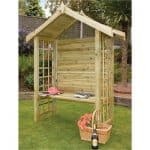 I love it because it is so sturdy and it is anti-rust. It is maintenance free, which is good for busy people like me. It is also made of a nice steel which is great. I just can’t get over how nice it looks in our yard and how long it is truly going to last us.